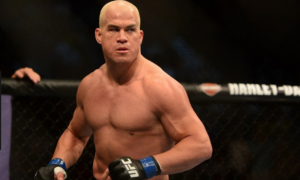 LOS ANGELES, CA, UNITED STATES, October 31, 2018 /EINPresswire.com/ -- Tito Ortiz (19-21-1), former light heavyweight champion, is preparing with an unmatched ferocity for his upcoming fight with Chuck Lidell (21-8) on November 24th, 2018. The fight will be their third fight since 2004, and a chance at redemption that Ortiz has been dying to get. In a story that seems fit for a Hollywood biopic, Ortiz and Liddell, long-time rivals, had their first match in Las Vegas, Nevada in April 2004. Liddell defeated Ortiz with a knockout punch in round two of the fight. Their second match took place again in Las Vegas, Nevada in December 2006. This time, Liddell beat Ortiz in round three with a technical knockout (TKO). The upcoming match on November 24th will be the first time Liddell steps into the ring in eight years. As for Ortiz, this will be his first fight in nearly two years, but the mixed martial arts fighter says that he feels ready for the challenge.